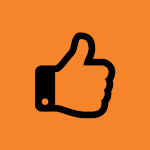 Below you will find a selection of testimonials from our clients. You can see the rest on our Facebook page. 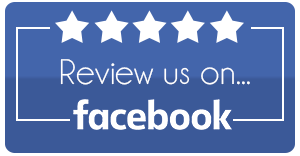 If you are a client of ours and would like to leave us your valued feedback, please do so on our Facebook page. Really delighted with my new lounge. The guys from Brook Ellis did a great job- plastering, plumbing, electrics and decorating all completed to a high standard with great attention to detail. Very professional, always arrived on time and worked so hard. Good communication and nothing was too much trouble. Would highly recommend and very competitively priced. Thank you! Recently had a full refurbishment of a flat done. The service was quick efficient and of a really high standard. The guys are all professional and were project managed brilliantly. The project manager worked with me from start to finish to ensure what i had envisioned was achieved. Love the before and after pics on the website. Am extremely happy and highly recommend them. Delaney, Basildon. Hi would highly recommend Brook Ellis Constructions for the phenomenal work they carried out on my rental property. The work was to a 5* standard and will defiantly be using them again. The work involved plumbing, electrical, plastering, carpentry, a new kitchen and shower room. Work was done on time and on budget. I was kept up to date regularly on the progression of works and consulted fully at every stage. The team were polite and professional. I want to thank the whole team at Brook Ellis for an amazing job. Amazing team not just a company who i found to do my kitchen extention which they have done an amazing job! But being so compassionate with my elderly disabled parents! Nothings to difficult they have worked amazingly hard giving great advice along the way and helping me reach my goal to a very high standard. Sukhi is not just a builder but has now become a friend for life! Great work guys and keep up the great work! Fully recommended and endorsed 5 stars all the way! Really happy with the level of service provided... Been using these guys for my letting agency now for around a year and couldn't be happier. No job too big or small. really reliable, trustworthy and hard working. Couldn't recommend highly enough. Very thorough and professional as well as being really nice people. They located the problem even though it was not that straight forward. Would most definitely use this company again. Get in Touch with us using one of the following methods. © 2018 Brook Ellis Construction. All Rights Reserved.